Where can real public enemies be found alive and kicking today, not only for the USA 🇺🇸 but every place and in every way? Who has managed to create an emergency for nearly one million federal workers, and contract workers, some of which are required to work without a payday, and others are being required not to work, with public safety inspectors being furloughed? Why are educators expected to teach science, math and all the subjects needed to compete in an ever competitive global economy quitting because of deteriorating working conditions and shrinking paychecks? What’s in your wallet? Maybe nothing much, because almost half of the folks living in the world’s richest nation couldn’t cover an unexpected $400 expense, according to the Federal Reserve. If this isn’t a crisis, then what is? Members of #Congress, who are paid to be policymakers, and public servants must provide paths to bolster the financial security of tens of millions of Americans living on the brink today. When will We The People realize that while everyone is being distracted by the DC Drama, America’s Social Security benefits may be slashed by as much as 21 percent in 2034? This date may appear to be far away today to most living in the USA, but considering the fact of how our politicians won’t cooperate anyway, who’s to say they’ll be able to fix this ticking financial time bomb? While on the subject of a fiscal crisis, does anyone realize that our national debt is now $22 trillion and projected to soar to $33 trillion by the fiscal year 2028? Wake up, America, this is only eight years and nine months away. Our Interest payments on the national debt may top defense spending, Medicaid and many other programs. And what about the tax break which was given to the rich, who did not need it and never allowed it to trickle down? Now, this is a real emergency folk, look nowhere else and demand action before it’s too late. The previous U.S. federal government shutdowns were in 1995–96... The 16-day-long shutdown of October 2013 was the third-longest government shutdown in U.S. history, after the 18-day shutdown in 1978 and the 21-day 1995–96 shutdown. This one is the longest at 22 days and counting. Perhaps menace to society also applies here because its a threat to cause evil, harm, or injury. People whose actions, attitudes, or ideas are considered extremely dangerous. The man who helped put the VP a heartbeat away from the Presidency is now facing multiple federal charges. He was charged with over a dozen counts, including alleged financial schemes, but successfully pushed his favorite candidate. 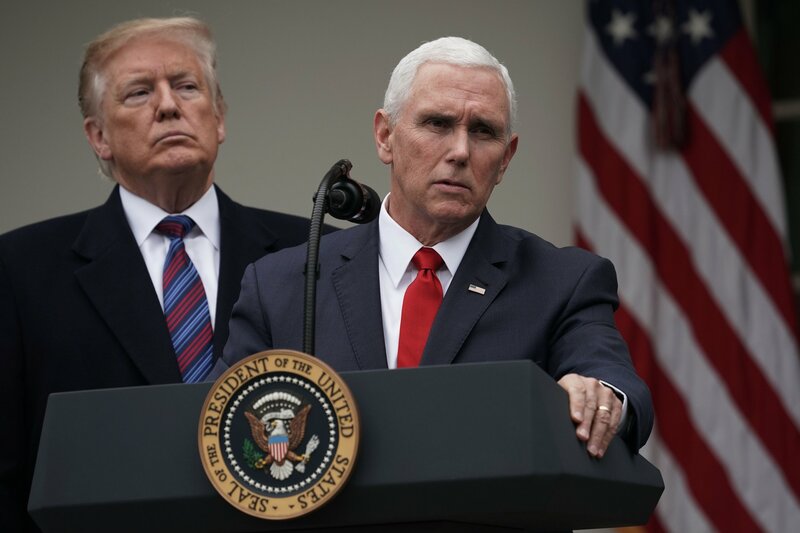 Declaring a national emergency was “not leadership,” Pence said in 2014.